The silver lining from the Patriots Super Bowl loss on Sunday night, while painful has a good…no a great bit of news. Josh McDaniels has spurned the Indianapolis Colts offer to be their next head coach and is staying in New England as the Offensive Coordinator. 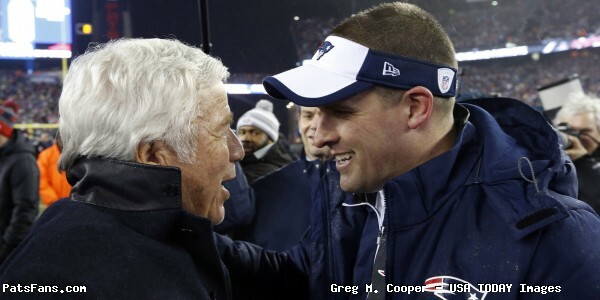 McDaniels reportedly had dinner with Patriots owner Robert Kraft and the deal was struck to keep him in place and then? The succession to the throne had to be addressed. Bill Belichick has made it clear that he wasn’t planning on coaching into his 70s and he wanted to establish his son’s coaching careers before moving on. McDaniels had plenty of reasons to stay. And not the least of which is his family. His wife is from the area and his kids go to an exclusive private school in Walpole. His family has roots here and he doesn’t want to leave. His wife and kids most definitely don’t want to go to the mid-West. Never underestimate the family side of the equation. Now McDaniels will remain and the Patriots get to keep not one but two coordinators. Joe Judge, the Special Teams coordinator was slated to go to Indianapolis with McDaniels and now he’ll more than likely remain as well. And the bigger piece of the puzzle that no one is mentioning is Nick Caserio. He will remain after getting some feelers once again for GM positions in the offseason. Caserio will remain in his position as the Director of Player Personnel but he does much more. He’s the guy doing all the leg work for the draft, works with the players in practices and serves as the de facto GM. Which means when Bill Belichick decides to step down possibly in a year or two, the next coach and GM are already in place. With all of the flak coming at Kraft and McDaniels since yesterday, one has to wonder, aren’t the same people who are complaining that there was no succession plan in place with Tom Brady, now giving the Patriots the business for addressing life after Belichick? Isn’t it the exact same thing? What will the staff look like in 2018? McDaniels will remain as the Offensive Coordinator. Judge will remain as the STs coach. 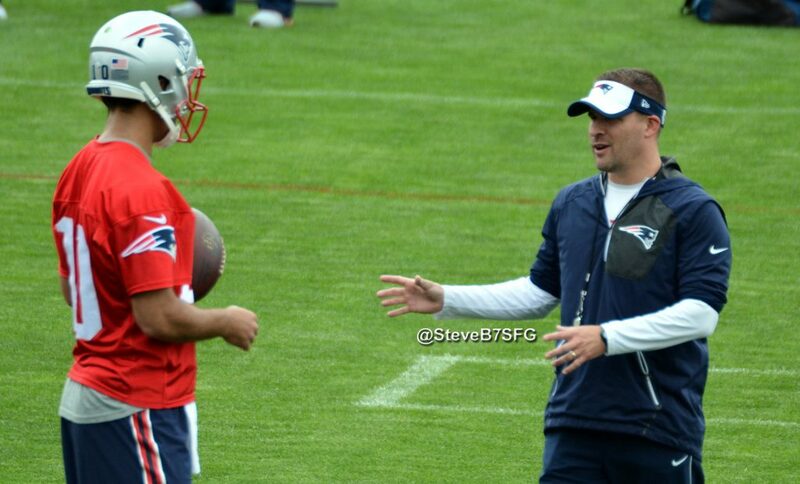 Chad O’Shea is put on hold as the OC in waiting, once McDaniels takes the reins. Greg Schiano’s name keeps coming up as the Defensive Coordinator, which may mean that Brian Flores is still getting consideration elsewhere. 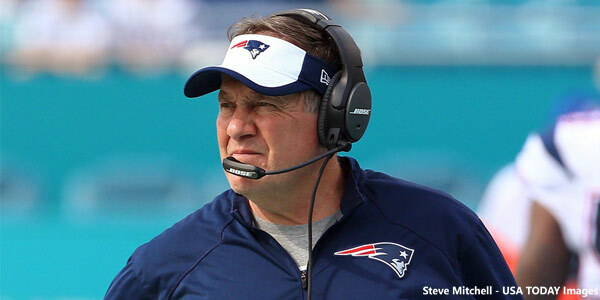 I’d look for Stephen Belichick who has been the safeties coach to move this season to another position. Brian Belichick may be a positional coach this year as Bill tries to groom his sons for bigger and better things once he retires. The offense now, won’t miss a beat. Brady and McDaniels have a long relationship and they have the mutual trust and respect to get the job done. There will have to be decisions made on several players who are free agents but this is a team when it has all of its weapons that is loaded. McDaniels has grown from the coach who failed in Denver. He learned from his mistakes and has a much better feel for the game and his personnel than he did a few back. The young coach who was too stubborn to adjust in Super Bowl XLII ten years later faced an even better defense under Jim Schwartz and took them to the woodshed. Now he, Belichick and Caserio have to find a young QB for them to groom to take over the reins for Brady when he too rides off into the sunset. The Patriots can be many things…boring is never one of them. This entry was posted in NFL Commentary, Patriots Commentary, Patriots News, Patriots Rumors and tagged 2018 Patriots season, Bill Belichick, Indianapolis Colts, Josh McDaniels, New England Patriots, NFL, Nick Caserio, Patriots, Tom Brady on February 7, 2018 by Steve Balestrieri. Marcus Cannon has been a lightning rod for criticism the past few years from Patriots fans and members of the media. The 2016 season won’t be any different. Whether you’re talking about his contract or that awful AFC Championship Game in Denver, folks tend to expect the worst when it comes to the 6th year tackle from TCU. And one of the things the team should have addressed this spring was finding a right tackle of the future. But they didn’t. With the news that Sebastian Vollmer is going to go on IR for a myriad of shoulder and hip issues, shouldn’t be surprising. Vollmer is a good, tough right tackle who has been banged up with a variety of back and knee woes for quite a while now. And at age 32, those don’t get better with big interior linemen. The writing was on the wall with Seabass and now with him being a free agent in 2017, he’s probably going to be moving on next year regardless if he’s able to come back this season or not. We’re not going to go overboard and jump on Bill Belichick and Nick Caserio the way some do around the Boston area and with good reason. Show me another team that consistently fields a team that wins double-digit games every season in the NFL and every season takes a team deep into the playoffs. It doesn’t exist outside of Foxboro and the two guys at the helm always seem to find a great mix of players that buy in, work hard, and invariably get the job done. It is always easy to sit up in the cheap seats and point out flaws in what went wrong after the fact. However, this is one of those times that they should have perhaps taken a look at where they’ve addressed their offensive line in the past few years and perhaps moved their focus to the outside. 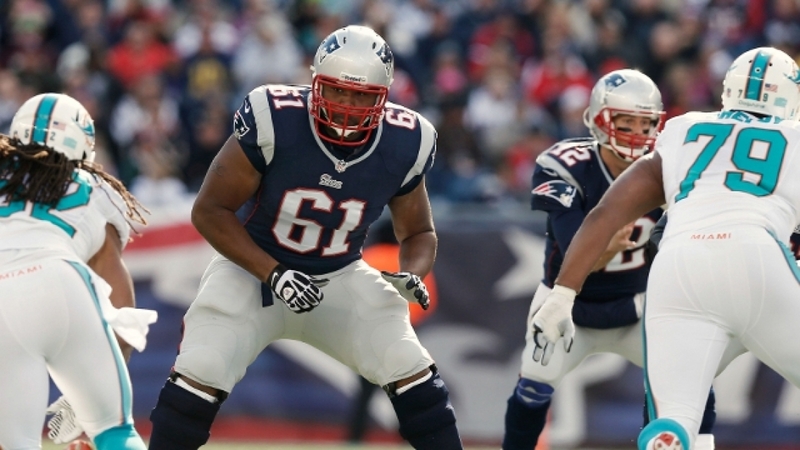 In the past three years, the team added centers, Bryan Stork and David Andrews. At guard, a year ago, they drafted Shaq Mason and Tre’ Jackson. This season, the Patriots traded for guard Jonathan Cooper then drafted guards Joe Thuney and Ted Karras. So we get that the offensive line was beaten up last year and that former coach Dave DeGuglielmo may not have been able to reach the players that Dante Scarnecchia had. That’s why Scar was brought back into the fold and was tasked with re-energizing this unit in 2016 so that we don’t witness a retake of the debacle that Tom Brady’s protection was down the stretch a year ago. Scarnecchia and Belichick have always loved Cannon, seeing the potential that many of us don’t see on a day-to-day basis. Belichick in his Monday press conference went into detail praising Cannon’s work in the Chicago preseason game. To his credit, Cannon has been good this summer. Especially in the running game where he’s been able to get a consistent push up front and has pancaked quite a few would-be tacklers. He’s moved better as well in pass protection, part of it Cannon credits to slimming down, eating right and working on his quickness. When he was drafted by the team in the 5th round of the 2011 draft, he tipped the scales at 358 pounds. He’s now listed at 335. Also a year ago, he was dealing with a toe issue which definitely would affect his mobility. But given the injury situation to the team a year ago, anyone that could walk was going to play. Cannon’s biggest knock has been consistency. He’s played well in stretches but hasn’t been able to put anything together for any length of time. Scarnecchia, who has always been in his corner will go about trying to change that aspect of his game. 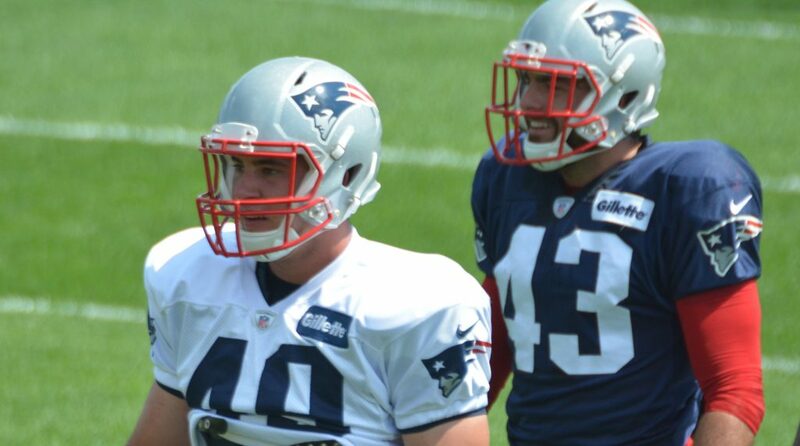 With Vollmer out, for perhaps the entire season, the job is his now as it has been since Day 1 of spring OTAs and minicamp. 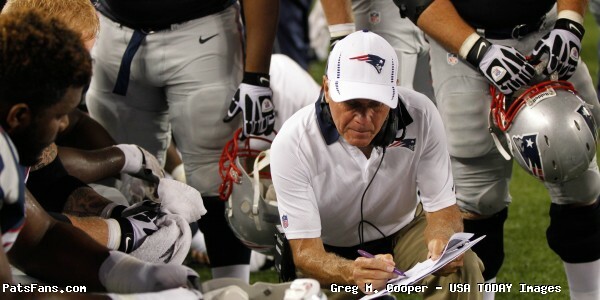 Scarnecchia can bring out the best on anyone, that’s why he’s been in the league for so long. He’ll bring out the good in Cannon. Because Cannon can be a good tackle in the NFL. But the Patriots, who have been on top of the heap for more than a decade don’t deal in “good” when protecting the best QB in the game. They should have been looking for better than good this spring. Ultimately, we’ll learn how they fare once the games begin in earnest. Because the real tests for the offensive line and Cannon will be not in the preseason but once the team hits the desert of Arizona. This entry was posted in Patriots Commentary, Patriots Injuries, Patriots News and tagged 2016 NFL Draft, 2016 Patriots Roster, 53 Man Roster Projection, Bill Belichick, Dante Scarnecchia, Marcus Cannon, New England Patriots, Nick Caserio, Patriots, Patriots offensive line, Sebastian Vollmer, Tom Brady on August 23, 2016 by Steve Balestrieri. 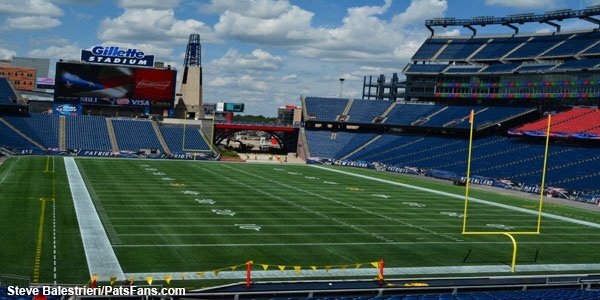 Good morning, here are Sunday’s Patriots news 5-15 notes and what’s happening around the AFC East. Patriots wide receiver Julian Edelman had another surgical procedure on the foot that he broke against the Giants last season and this latest one was classified as a “cleanup procedure” but reportedly involved putting an additional screw in his foot. Despite this latest surgery, the Patriots are stating that Edelman should be ready to go once training camp begins in late July…Don’t bet on that. 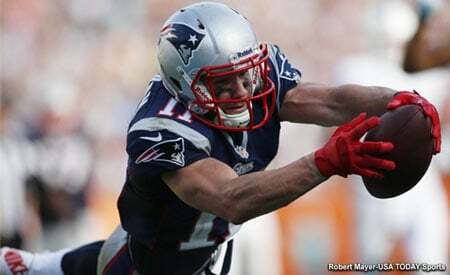 Edelman will probably start camp on the PUP list along with RB Dion Lewis who is recovering from ACL surgery. This will be an area to monitor not only this summer but as the season goes along. Many of these foot injuries tend to be on the chronic side. Patriots LS and Navy Ensign Joe Cardona may end up in a Patriots uniform after all in the 2016 season. Secretary of the Navy Ray Mabus a few days ago told Dan Patrick on his show that he has granted approval for both Cardona and 2016 Navy Academy graduate Keenan Reynolds permission to play in the NFL this season. This came just a short time after Mabus said that the Patriots would probably have to play without Cardona in 2016 due to his naval commitments. Service academy graduates incur a minimum five-year service obligation after graduation. Secretary of Defense Ash Carter will make the final call, balancing the needs of the service over these two players’ NFL careers and the resultant recruitment potential they would bring in their playing professional football. The Patriots introduced the 2016 rookie class to the media this week and if there is a common theme that could be drawn from any of the comments from any of the newcomers is that they’re all already toting the party line. Not much could have gleamed from any of the players comments but a healthy dose of “learning the system”, “wanting to work hard” and “fitting in” was the order of the day. Which must have been music to the ears of Bill Belichick who likes his players’ comments bland? Perhaps the best comments came from the Patriots biggest questioned draft pick, Vincent Valentine the 6’3, 329-pound DT who answered questions about his work ethic and whether he was a reach at #96 when many had him projected as a late round pick or a UDFA. Shouldn’t a 3rd round draft pick already be in shape? He will be interesting to watch, on one hand he squatted nearly 750 pounds but in the 225-pound bench press, he did fewer reps than 186-pound CB Jonathan Jones. The Patriots waived RB/FB Joey Iosefa last Friday but he was informed that the team needed to juggle the roster some and that, if he cleared waivers, that the team would be looking to bring him back on the roster. 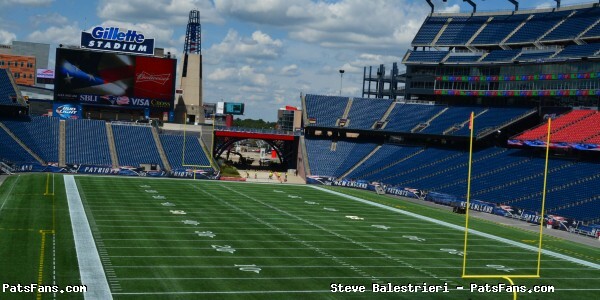 This was first reported by Mike Reiss of ESPN. Iosefa remained put in the area and turned down some offers to work out and sign elsewhere. His loyalty and trust were rewarded when the Patriots indeed signed him back on the 90-man roster following LB Tony Steward’s release. The entire episode begs the question of why the team and Bill Belichick chose to release him in the first place if they were just going to release someone else a few days later and then bring back Iosefa. Why not keep in the first place? The 6’0, 240-pound back played in only two games last year but was elevated to instant cult-like status when he bulldozed the Titans’ Coty Sensabaugh during a game in Foxboro in late December. Pats TE Rob Gronkowski has had a busy week. First were pictures of his cover shoot for GQ magazine where it showed the Patriots most visible player frolicking in the surf naked with a supermodel. Then later in the week, it was announced that Gronkowski would be the first member of the Patriots and the first tight end to grace the cover of the video game Madden NFL 17. Yesterday was Gronk’s 27th birthday and since he entered the league in 2010, no one has scored more touchdowns (66) than the big TE and he’s already #3 all-time on the TE touchdown list. The Dolphins are reportedly flying in free agent DE Jason Jones today and announce his signing tomorrow on a one-year deal according to ESPN’s Josina Anderson. Jones is a 29-year old run stuffing defensive end who will immediately add depth to a unit that struggled to stop the run in 2015. With Cameron Wake coming off of an Achilles injury and newcomer Mario Williams, Jones can be expected to play a significant role along with Andre Branch. He had a very productive 2015 season for the Lions with 4.5 sacks and 31 tackles while starting 15 games. He also played one season in Seattle and four in Tennessee. Jones has notched 175 career tackles, with 28 sacks, 10 forced fumbles, and one fumble recovery. Jets WR Eric Decker has been vocal in his support for QB Ryan Fitzpatrick this offseason. And while accepting an honor in NYC this week, reiterated his support for the Jets 2015 starting QB and now a free agent. With a veteran team built to win now, Decker is firmly on the side of Fitzpatrick in his contract negotiations with the Jets. ” I think he definitely is the right man for the type of team we have now,” Decker said. The Bills got a steal in the 5th round with running back Jonathan Williams out of Arkansas. The big, 5’11, 220-pound back dropped so low because he had surgery on his foot that caused him to miss the entire 2015 season. But he was a productive big back for the Razorbacks, notching 22 touchdowns and rushing for more than 2,300 yards while averaging 5.7 yards per carry. He posted a single-season career high 1,190 rushing yards and forced 44 missed tackles in 2014. This entry was posted in Patriots Commentary, Patriots News and tagged 2016 NFL Combine, 2016 NFL Draft, 2016 Patriots Draft, 53 Man Roster Projection, Bill Belichick, Buffalo Bills, Joe Cardona, Joey Iosefa, Julian Edelman, Miami Dolphins, New England Patriots, New York Jets, NFL, Nick Caserio, Patriots, Rob Gronkowski, Tom Brady, Tony Steward, Vincent Valentine on May 15, 2016 by Steve Balestrieri. In this episode, we analyzed all of the Draft Picks for the Patriots. This is my favorite espisode ever of Patriots Fourth And Two, because we give you the type of talk and analysis I had hoped for when we started this show over four and a half years ago. I invite you to listen! 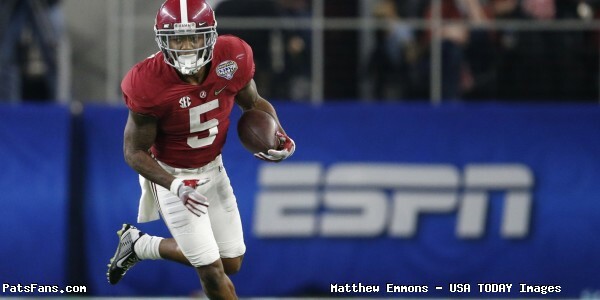 This entry was posted in Patriots 2016 NFL Draft, Patriots Podcast and tagged 2016 Patriots Draft, 2016 Patriots Roster, 53 Man Roster Projection, Bill Belichick, Cyrus Jones, Devin Lucien, Elandon Roberts, Jacoby Brissett, Joe Thuney, Kamu Grugier-Hil, Malcom Mitchell, Nick Caserio, Ted Karras, Tom Brady, Vincent Valentine on May 2, 2016 by Russ Goldman. This is our second preview of the NFL Draft as Derek Havens and Steve Balestrieri preview the NFL Draft on Defense. This entry was posted in Patriots 2016 NFL Draft, Patriots Podcast and tagged 2016 NFL Draft, 2016 NFL off-season, Bill Belichick, New England Patriots, Nick Caserio on April 20, 2016 by Russ Goldman.